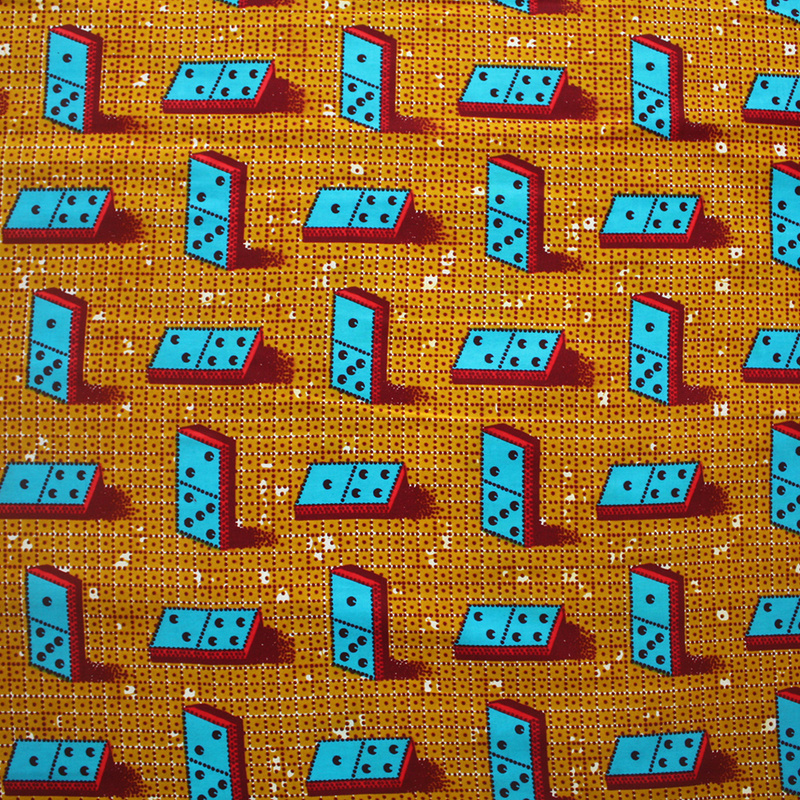 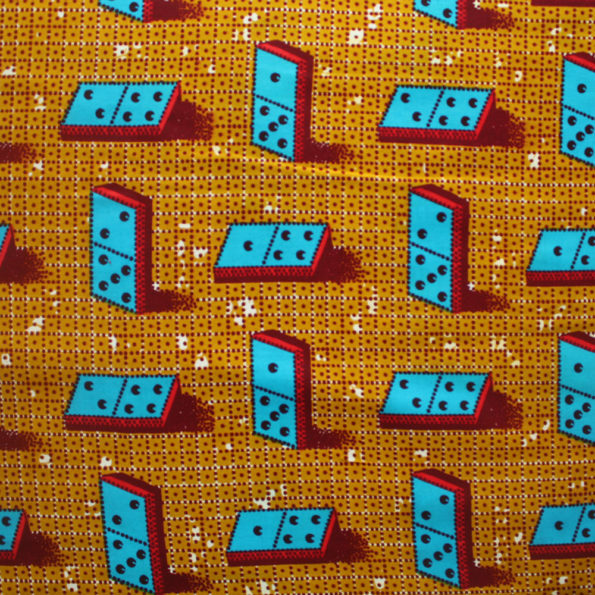 A quirky mustard print from Ghana. 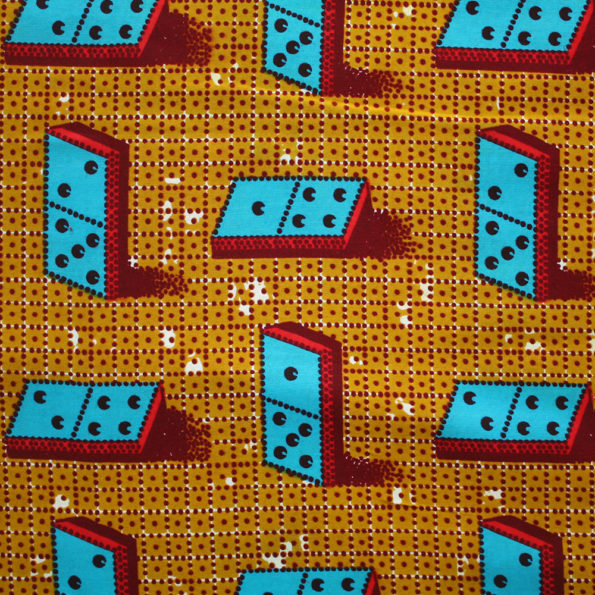 This one features a dominoes motif in a mix of mustard and teal colour palette. This is a 6 yard bundle, which is a continuous length of 6 yards approximately 5.5 metres. 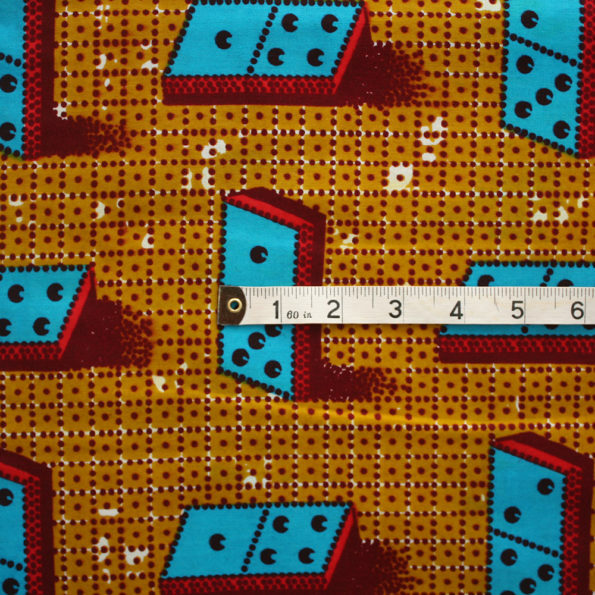 To get an idea of the scale of the patterns on the fabric, a tape rule is shown in the last images with unit displayed in inches. 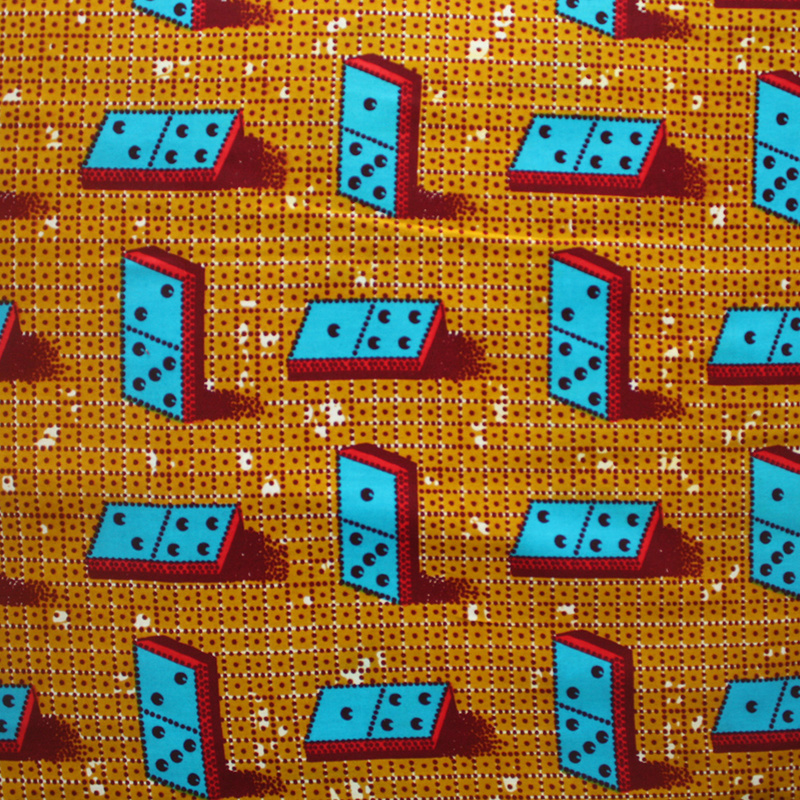 Don’t need a lot of this fabric? It is also available to purchase by the yard here. 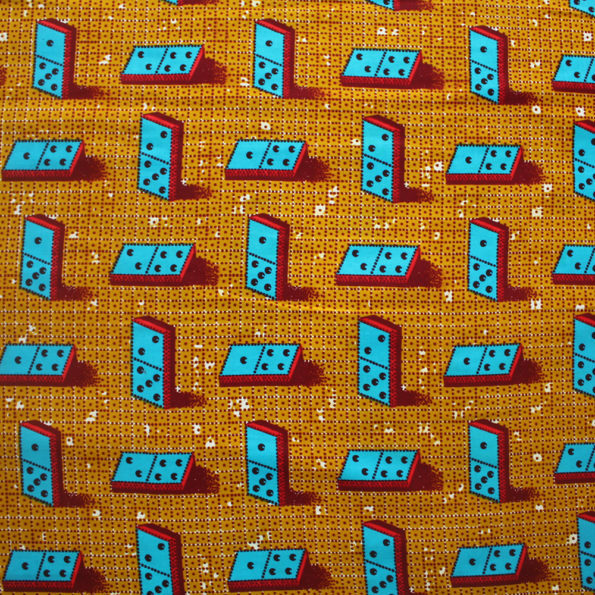 KINDLY NOTE: We photograph the fabric in natural daylight and make every effort to represent the colours as accurately as possible, nevertheless colours may display differently depending on the monitors/screens they are viewed on.